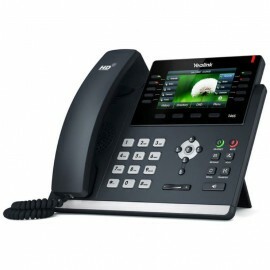 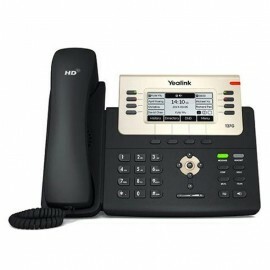 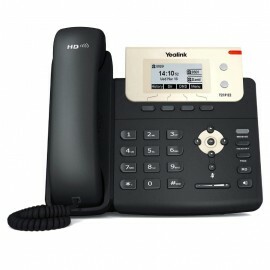 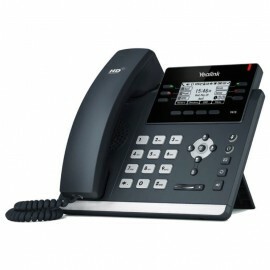 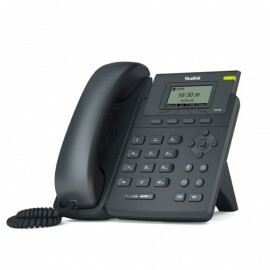 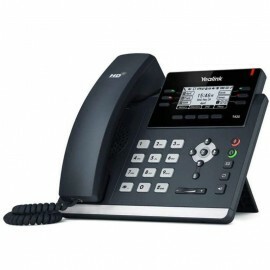 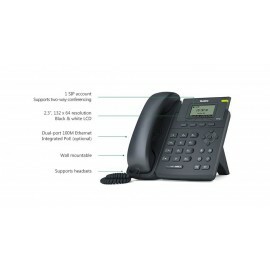 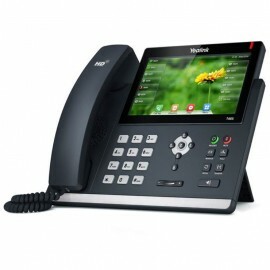 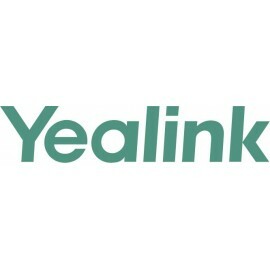 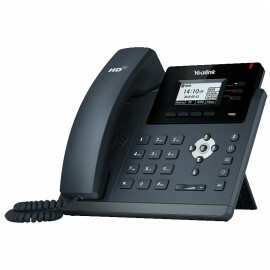 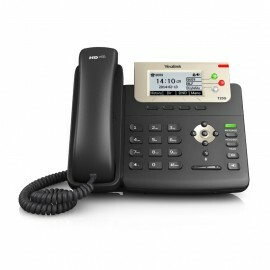 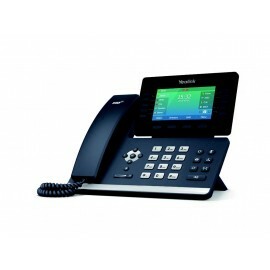 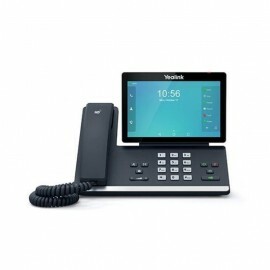 Entry Level IP Phone (with PoE) 1 SIP Accounts 132 x 64-pixel Graphical LCD 4 Soft Keys 3-way Conferencing XML Phonebook 2xLAN Ports Headset - (power supply not included - PS5V600US)..
(Yealink Branded) Entry Level IP Phone 2nd Edition (with POE) 2 SIP accounts (power supply not included - PS5V600US)..
(Yealink Branded) Professional Gigabit IP Phone (with POE) 3 SIP accounts (power supply not included - PS5V600US)..
Executive IP Phone (with POE) No power supply included(PS5V1200US) 3.6 inch graphical with backlight..
Gigabit Color phone 4.3 inch TFT Color LCD Display with Backlight 16 SIP Line Built-in USB Port; Headset EHS Support Support Bluetooth Headset (Through USB Dongle); Yealink HD Voice (without Powe..
Ultra-elegant Gigabit IP Phone (power supply not included)..
Ultra-Elegant IP Phone 2.7in. 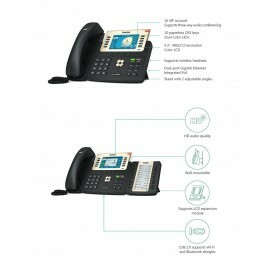 192x64-pixel graphical LCD Optima HD Voice 2X LAN Ports (PoE) EHS Support 6 SIP Accounts Up to 15 Paperless DSS Key Support Open VPN - Includes USB 2.0 and Opus Cod..
Skype for Business Ultra-Elegant IP Phone 2.7in. 192x64-pixel graphical LCD Optima HD Voice 2X LAN Ports (PoE) EHS Support 6 SIP Accounts Up to 15 Paperless DSS Key Support Open VPN - (power su..
Ultra-Elegant Gigabit IP Phone 2.7in. 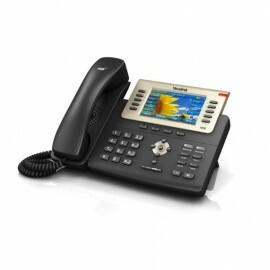 192x64 pixel Graphical LCS Optima HD Voice 2x Gigabit LAN Ports (PoE) EHS Support 12 SIP Accounts iup to 15 paperless DSS Key Includes USB 2.0 and Opus Codec..
Skype for Business Ultra-Elegant Gigabit IP Phone 2.7in. 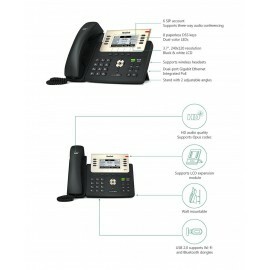 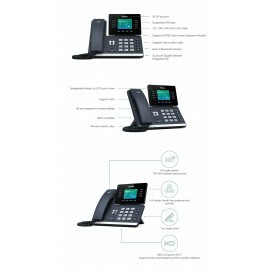 192x64 pixel Graphical LCS Optima HD Voice 2x Gigabit LAN Ports (PoE) EHS Support 12 SIP Accounts iup to 15 paperless DSS Key power supp..
Ultra-elegant Gigabit IP Phone 4.3in. 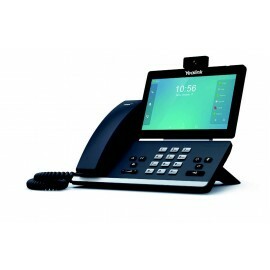 Display Includes USB 2.0 and Opus Codec Support (power supply not included - PS5V2000US)..
Skype for Business Ultra-elegant Gigabit IP Phone 4.3in. 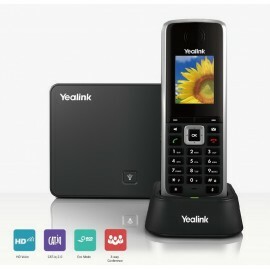 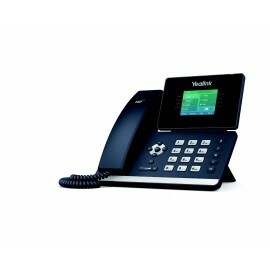 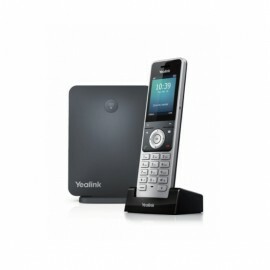 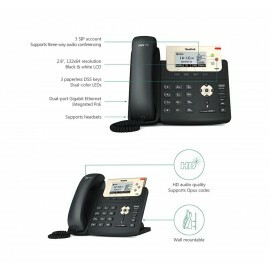 Display (power supply not included - PS5V2000US)..
Yealink Ultra-elegant Gigabit IP Phone Includes USB 2.0 and Opus Codec Support (power supply not included - PS5V2000US or PS5V3000US )..
Yealink Skype for Business Ultra-elegant Gigabit IP Phone Includes USB 2.0 and Opus Codec Support (power supply not included - PS5V2000US)..
SIP-T49G Power Supply Included #PS12V2000US..
Yealink 2.8-inch Color-screen Media IP Phone..
Yealink Revolutionary Media IP Phone..
HD Android Video Phone without Camera..
Based on Android 5.1.1 7in. 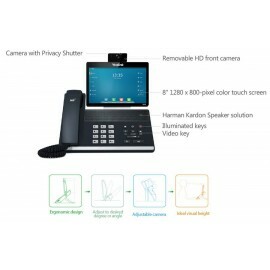 touch screen 2-megapixel HD camera 16 SIP Accounts Up to 3 party video conferencing integrated Wi-Fi and Bluetooth 4.0+ EDR a built-in web browser calendar recorder..
Yealink DECT Cordless Handset Only 1.8in. 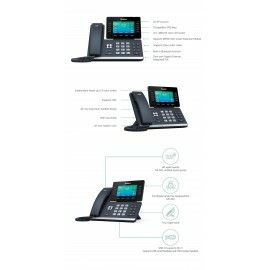 TFT Color Display with Intuitive User Interface Full-duplex Speakerphone Elegant Keypad Design with Illumination and Keypad Lock 6 Programmable Keys..
Yealink DECT Cordless Handset + Base Unit Exceptional HD Sound (G.722) Up to 4 Simultaneous External Calls Integrated PoE (Class 1) 1.8in. 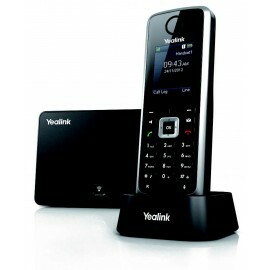 TFT Color Display with Intuitive User Interface - Power Supp..
Yealink DECT Cordless Handset Exceptional Handsfree Talking 2.4in. 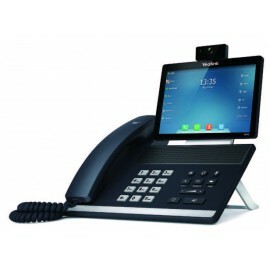 240 x 320 Color Screen with Intuitive User Interface Headset Connection via 3.5 mm Jack Up to 30 Hours Talk Time Elegant Keypad D..
Dect Base and Handset Package..